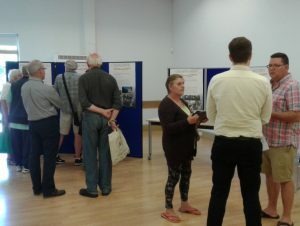 Housing design, transport and accessibility, infrastructure and town centre retail were among the many subjects discussed at the second of two Neighbourhood Plan drop-in consultation events held at the Hailsham Civic Community Hall yesterday [18 August], at which residents attended. 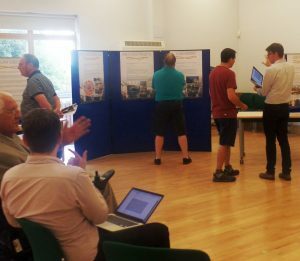 The public engagement event, organised by the Town Council’s Neighbourhood Planning Committee, enabled residents to provide feedback on the emerging ideas and policies which came about from comments made during consultation events held earlier this year. 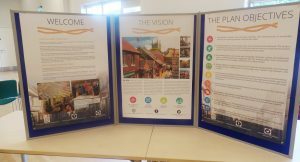 There were various display boards outlining the various draft policies and project ideas for the Hailsham Neighbourhood Plan in relation to the Hailsham area, for future development sites, and the town centre. Committee members and volunteers were on hand to answer questions about the way forward with the Plan and listen to the views of residents on how future housing development can best be accommodated in the future. “Thanks to all residents who came along to our public consultations and to everyone who helped organise both events,” said Councillor Glenn Moore, chairman of the Neighbourhood Planning Committee. I was not able to get to either meetings. Where can I view & comment on the Neighbourhood Plan and what is the cut off date for comments please? Thank you for your comment Mrs Hankins. Please feel free to attend the next Neighbourhood Planning Committee meeting scheduled for Thursday 7th September (7pm, Fleur de Lys Meeting Room, Town Council Offices, Market Street). The meeting is open to the public to attend (except for any items on the Agenda marked as confidential). At the meeting you will be able to find out more about the progress of the Plan including project dates/timeline. 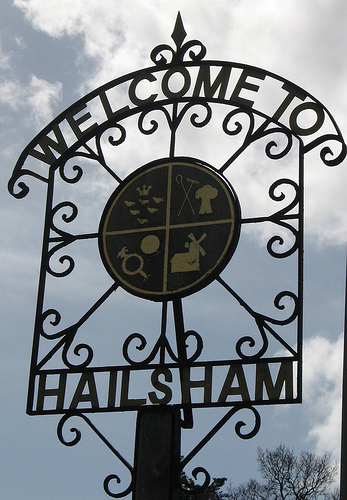 Alternatively, please contact the Neighbourhood Planning Committee Clerk, David Saxby, for further information on 01323 841702 or by email: david.saxby@hailsham-tc.gov.uk.